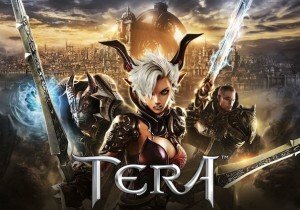 En Masse Entertainment has released a new content update for TERA: Happily Evil After. The update introduces new Dakuryon pets that can auto-loot, gather, and use potions and infusions. You and up to four of your friends will be able to head directly to the Highwatch Outskirts and dive into the new and improved incarnation of the Shadow Sanguinary dungeon, complete with enhanced boss fights and matching loot. The Imperator, Pahoegar, and Dakuryon are waiting inside for you, along with a significant chunk of the ruthless Archdevan Imperial Army, all who are dying to prove themselves to the dark lord Dakuryon by slaying an unwary hero. Conquering the Shadow Sanguinary and other high level dungeons will reward players with new crafting materials for the newly introduced Ethereal accessories that players will be able to craft. You can find out more at the event page linked below.